This film presents and examines orchestrated state violence against indigenous and local peoples when they rally and protest against development projects on their lands. Rather than focusing on a single instance, the filmmakers strengthen their thesis by recording examples from all over the country: Orissa, Jharkhand, Madhya Pradesh, Gujarat and Chhattisgarh. In each case, using the local police force, the state has brutalised and killed protestors, often on trumped up charges of violence. Biju Toppo has made six documentary films on issues concerning indigenous peoples. 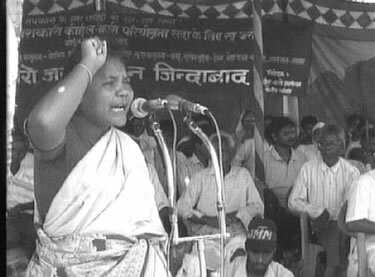 Meghnath is an activist in the indigenous people's movement against destructive development. He is a founding member of Akhra, an organization that works with indigenous youth.